Cal4wheel was formed in 1959 by some four-wheelers who were getting tired of their trails being closed. Fast forward 50+ years and the battles are the same. The desire to play on public lands is as strong as ever, and more people than ever before have some form of off-road vehicle. Our opponents have also been busy those 50+ years and are just as strong now as they were in 1959. The bottom line: We need your help. We need your dollars to fight the legal battles. We need your time to help with events, committees and access issues. Dues are only $50, which amounts to a little more than $4 per month for the benefits that we provide. We have several options available to offer your support to the association. Individual/Family Membership. $50 per year. Individual/Family Life Membership. One-time fee of $750. Associate/Business Membership. Our basic business membership is $60 per year. Associate/Business Sponsorship. $365 per year. Associate/Business Life Membership. One-time fee of $900. Corporate Sponsorship. Starts at $500 per year. Get your Cal4Wheel swag here. We have T-shirts, sweatshirts, hats, patches, decals, pins, jewelry, books, maps and more! We organize several annual events throughout California that cater to every four-wheeler, including those who are new to the sport. Some of our events offer discounts to Cal4Wheel members, so be sure to join before you register to enjoy discounted pricing. Winter Fun Festival. January 24-26, 2020. Grass Valley, CA. Convention. February 15-16, 2020. Clovis, CA. Molina Ghost Run. May 10-11, 2019. Hollister, CA. 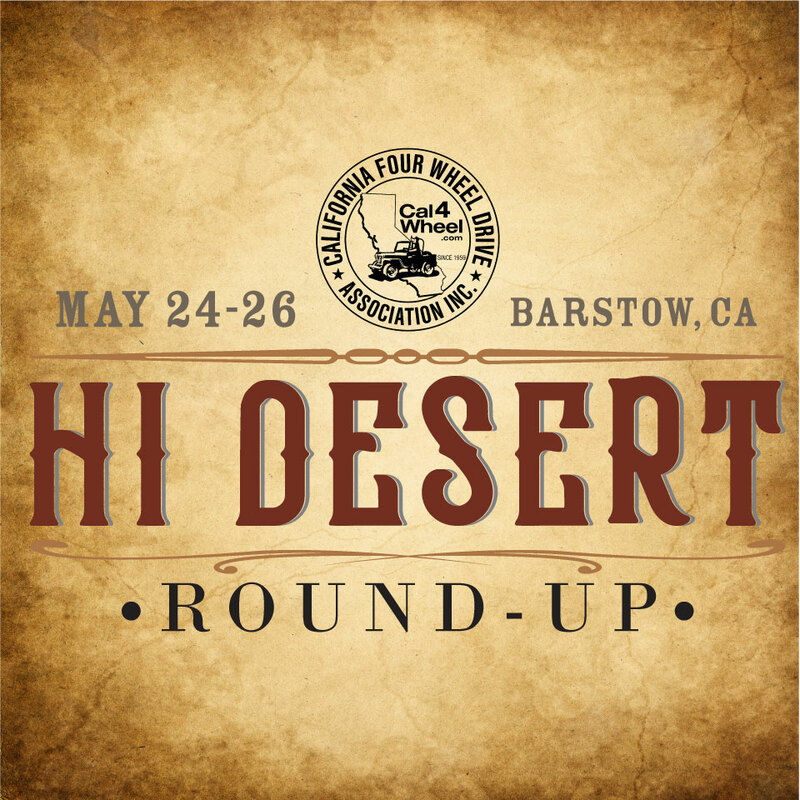 Hi Desert Round-Up. May 24-26, 2019. Barstow, CA. 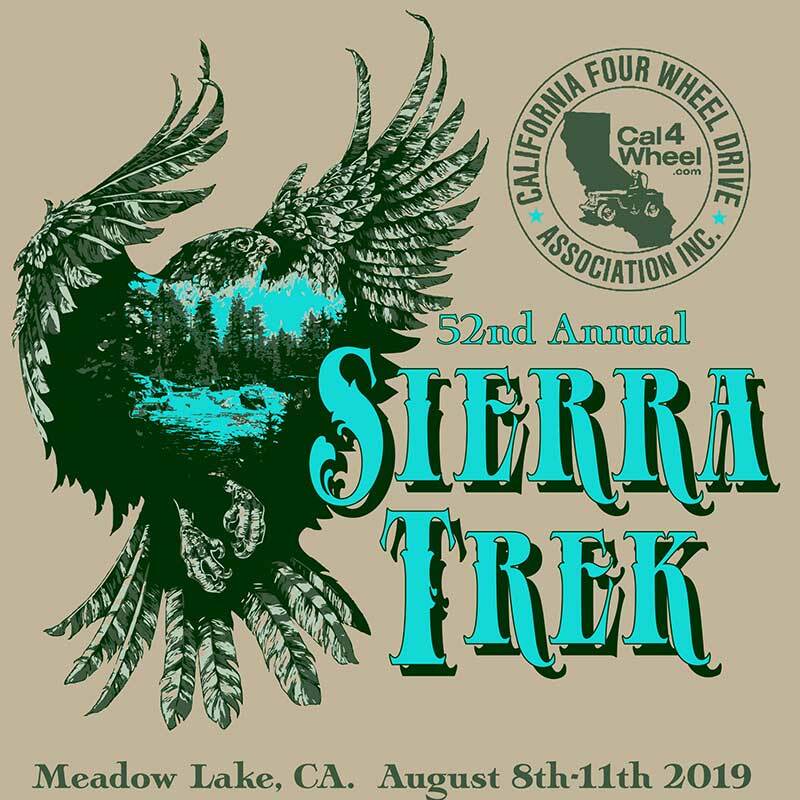 Sierra Trek. August 8-11, 2019. Truckee, CA. High Sierra Poker Run. August 30-September 2, 2019. Shaver Lake, CA. Operation Desert Fun. October 18-19, 2019. Borrego Springs, CA. Panamint Valley Days. November 8-9, 2019. Trona, CA.